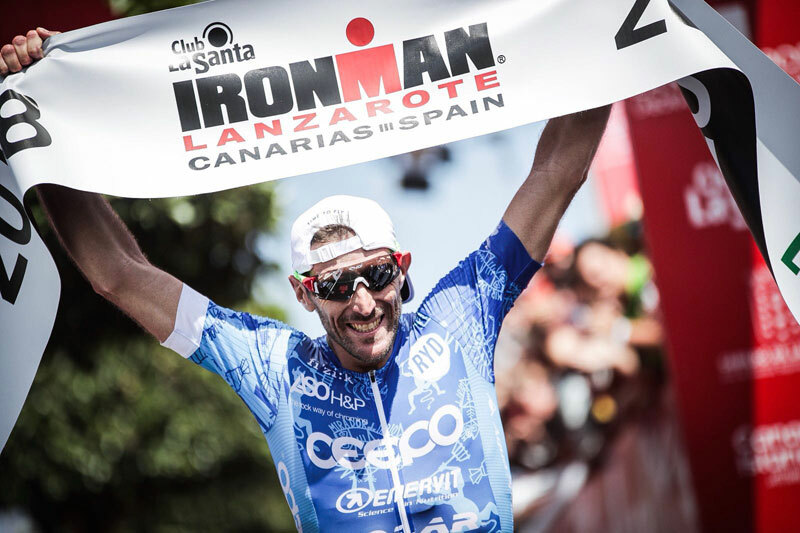 Alessandro de Gasperi (ITA) and Lucy Gossage (GBR) triumphed with dominating performances in today’s Club La Santa IRONMAN Lanzarote, on a clear but extremely hot day on the volcanic island of Lanzarote. 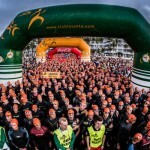 More than 1800 athletes crossed the start line for a hard day at the office: A 3 .8 km swim in Puerto del Carmen, a 182.2 km bike course around the island and a 42.2 km run to complete what many believe to be the toughest IRONMAN in the world. 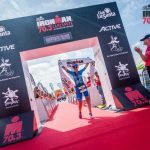 This event is the ideal opportunity to qualify for Hawaii in almost identical conditions to the World IRONMAN Championships. Spain was well represented with three athletes finishing in the top ten, where the best performance came from Iván Raña. 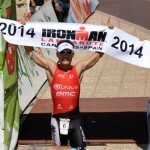 This was de Gasperi’s second victory at this event, having previously won in 2015, as well as having finished in second place at last year’s IRONMAN Lanzarote. A close competition was expected considering the talented line-up, but the leaders maintained pole positions for most of the event. De Gasperi and Romain Guillaume (FRA) fought a duel during the first part of the bike course, but the Frenchman started to slow down as the competition speeded up, and started to trail at Mirador del Rio. It was here that Raña gained momentum to take over second place, with Martijn Dekker close on his heels. De Gasperi took total control of the marathon, charging home to win with a time of 08:52:16. Cyril Viennot (FRA) and Iván Raña battled for second place, although the Spaniard kept his pace and claimed the runner-up spot. In the women’s race, Frenchwoman Camille Donat (FRA) was the first out of the water with an advantage of 2:22 over Michele Vesterby (DNK). Saleta Castro (ESP) was the fourth woman of the water. Vesterby increased her advantage by opening up a wide gap over Lucy Gossage on the bike course, who also sped along with an impressive rhythm. Gossage began to pile on the pressure at Mirador del Rio, taking over the lead and gaining a 29-second gap over Vesterby. The British athlete kept her distance until the end and claimed the victory. Saleta Castro finished in sixth position only some five minutes behind. One of the most impressive performances came from Simone Mitchell (GBR) who, despite not being a professional athlete, stormed over the finish line take second place. Michele Vesterby was awarded second place in the professional category. Great Britain’s Nikki Barlet completed the podium to take third place. Winner Lucy Gossage couldn’t contain her joy “it was a really hard race, but I felt amazing on the bike, and most importantly, I felt comfortable in the lead without worrying too much about the girls behind.” I´m so happy!” beamed Gossage, who is not only a professional in sport, but also in medicine.